Facebook has been making it easier for nonprofits like Movember to raise money directly through its platform. Facebook appears to be stepping up its game in the peer-to-peer fundraising space. The social network is partnering with Movember to test a new system that makes it easier for fundraisers to share stories and solicit donations, according to a report by The Chronicle of Philanthropy. The social network is also doing testing with men’s-health nonprofit the Movember Foundation to integrate volunteer fundraisers’ pages on Movember.com and Facebook. They will essentially be synced so that Movember’s fundraisers can share personal stories, solicit friends and family, and log donations seamlessly on both sites without jumping between the two. Facebook appears to be bolstering its ability to play a central role in “peer-to-peer” fundraising, or fundraising done by individual supporters on behalf of nonprofits. This bears watching. It could ultimately help more nonprofits capture donations through the world’s largest social network. The move might also pressure other social networking sites to make it easier for users to raise money for charities. It also follows an effort by YouTube to add “donate” buttons to live video feeds. Blog: Read more about how Movember has been expanding its efforts to appeal to women and to fundraise year-round. It wouldn’t be much of an exaggeration to say that traditionally P2P fundraising professionals have been control freaks. We produced events and told people where, when and how to participate. At our recent Peer-to-Peer Fundraising Canada conference, the Parkinson Society’s Jon Collins confessed that giving up control was one of his greatest contributions to the success of Pedaling for Parkinson’s. Our 2016 Cash, Sweat & Tears Award honoree Peter Istvan started the 3-day bike ride in rural Parry Sound, Ontario six years ago to support the Society’s work. When Collins saw the program gaining traction he thought of taking greater control of the event and perhaps spreading it to other markets. Istvan politely told him to back off – they did not want to lose the community nature of the event. The friends manage nearly every detail of the event – from recruiting riders, to collecting donations, to enlisting family members to bake cookies and dole out hugs. Parkinson Canada offers basic support for the campaign, but it largely stays out of the way and lets the friends manage the event their way. The result is nothing short of inspiring. This July, 250 people took part in the ride, raising more than $200,000. All told, Peter and his friends and family have helped raise more than $700,000 for the charity. Bravo to Peter for creating such an impressive program – and to the team at Parkinson Society for knowing when to help and when to get out of the way! Peer-to-peer fundraisers from across Canada joined us last week in Toronto for our second P2P Fundraising Canada conference — and they were rewarded with a day full of advice and inspiration. We invited participants to share advice that they learned during the event on Twitter — and our friends at DonorDrive used Twitter to help collect stories of inspiration from Canadian P2P fundraisers. Below are some of the top tips shared by participants. We also invite you to check out DonorDrive’s compilation of inspiring acts. What was the biggest lesson you learned at P2P Fundraising Canada’s 2016 conference? Share it on Twitter using the hashtag #P2PCanada16. Peter Istvan, co-founder and organizer of Pedaling for Parkinson’s — an annual bike ride that has raised more than $700,000 for Parkinson Canada — is the winner of the 2016 Cash, Sweat & Tears Award, which honours Canada’s top fundraising volunteer. Istvan offers an amazing story about the potential of Independent, or Do-It-Yourself, Fundraising campaigns. 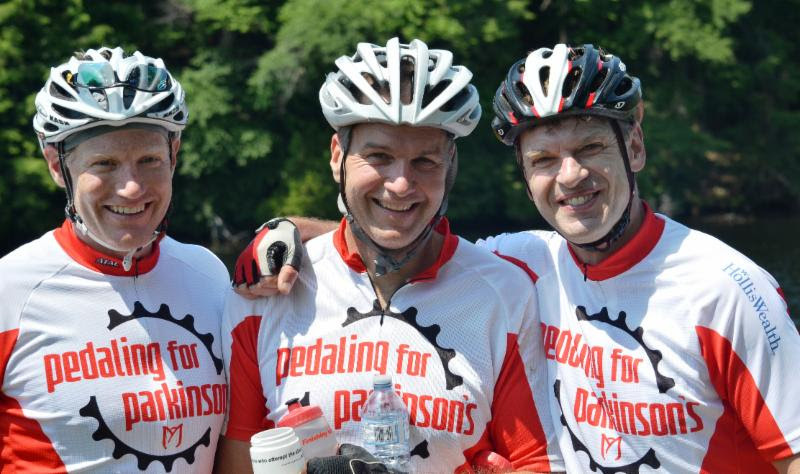 He started the ride with friend David Newall in rural Parry Sound, Ontario, six years ago with a modest goal of using his love of cycling to raise money to fight Parkinson’s disease. During the first event, 18 riders came together to raise $18,000. It has since mushroomed into a massive community event. In July, 250 people took part in the 3-day ride, raising more than $200,000. The Cash, Sweat & Tears award honours an extraordinary volunteer who has taken on physical challenges or overcome tremendous obstacles to raise money for charity. The award was presented today in Toronto at the annual conference of Peer-to-Peer Fundraising Canada, which oversees the Cash, Sweat & Tears program. Pedaling for Parkinson’s is part of a growing trend in peer-to-peer fundraising — the explosion in the number of so-called do-it-yourself campaigns that are organized by individuals, rather than by nonprofits. Parkinson Canada provides support for the event, but Istvan, a volunteer, does all of the heavy lifting — managing logistics, recruiting riders and volunteers, soliciting sponsors and collecting donations. While many Canadian charities organize large-scale fundraising bike rides, Pedaling for Parkinson’s is unique — in large part because of the work of Istvan and his fellow volunteers. The ride has become a destination event for many avid riders in Ontario, largely because of its homespun feel. Istvan’s mother bakes cookies and gives hugs to weary riders. Riders receive hand made mugs from a local potter. A local butcher makes sausages for the post-ride barbecue. Istvan says he also wants to make sure the event always maintains its connection to the cause by offering riders the opportunity to see the impact of their support and providing information about advances in Parkinson’s research. As the winner of the Cash, Sweat & Tears Award, Istvan will receive a $1,000 cheque from award sponsor Blackbaud, as well as a trophy. Does Your P2P Campaign Have a Purpose? When you’re starting a new peer-to-peer fundraising campaign — or evaluating your existing campaign — it’s easy to get wrapped up in the tactics. You fret about whether you have enough volunteers, how you’re going to attract participants, and even what you will do if it rains. But Plenty Consulting’s Kari Bodell advises peer-to-peer professionals to take a step back to ponder a basic — and crucial — question before they do anything else. Once you decide on your purpose, it’s important to make sure that purpose is front and center in every decision you make. This is especially true for P2P fundraising, where your success is determined by the ability of your supporters to share your message. Bodell says your purpose should be clearly articulated in all of your communications with supporters so they, in turn, can relay that message when they’re out raising money on your behalf. “The need for clarity is heightened in a P2P setting, because now we are not just communicating this purpose to our donor base, but we are also asking them to communicate this message to their own networks,” Bodell says. Potential donors who receive e-mail messages from their peers are significantly more likely to open those messages and take action than those who receive solicitations from nonprofits, according to a new study by the technology company Blackbaud. Open rates for e-mails sent by participants in peer-to-peer cycling, endurance and walk events exceeded 40 percent — nearly tripling the 15.34 percent average open rate for nonprofit donation solicitations, the study found. The new data, which is based on an analysis of the results of peer-to-peer programs managed by 186 nonprofits that use Blackbaud’s online fundraising software, confirms what many in the P2P fundraising world have hypothesized — that donors are much more responsive to appeals from friends and family than they are from organizations. But the study also highlights the big challenge that many P2P programs face — getting participants in their events to take the time to send emails. Blackbaud’s analysis, for example, found that only 9 percent of participants in walks send e-mail solicitations. That number climbs to 22 percent for participants in endurance campaigns and 30.1 percent for those who participate in cycling events. Reports of the demise of the walk appear to have been exaggerated. The study found that online donation revenues for walks increased by 17 percent in 2015. Endurance events also showed robust gains of 21 percent. While overall revenues were down 4 percent for cycling events in 2015, participants in cycling events are still the most active fundraisers when compared to other types of P2P programs. For example, more than one half of participants in cycling events collected 2 or more donations in 2015. By comparison, only about 13.4 percent of walk participants collected 2 or more donations. Participants in Canadian P2P events tend to be more active fundraisers than those who participate in US P2P events. Roughly 15 percent of Canadian walk participants, for example, sent e-mail solicitations — compared with just 8.9 percent of U.S. participants. Derrick Feldmann, author of Social Movements for Good, will challenge attendees at Peer-to-Peer Fundraising Canada’s annual conference to do more than simply ask for their supporters to belong. He will challenge them to engage them in a journey to become a part of something much larger — to inspire them to become true believers who see their participation in P2P campaigns as part of a larger movement. Whether your organization is working to cure a disease, improve the environment, or feed the homeless, Feldmann says your message to your supporters should be clear: we have an opportunity to do much more than simply raise money. Peer-to-Peer Fundraising Canada sat down with Feldmann to learn more about how P2P fundraisers can help build movements. P2P Fundraising Canada: Define a social movement and how is that different than the way charities and organizations work on behalf of a cause? Feldmann: There isn’t a cause leader in the world who doesn’t want to lead a movement. Social movements for good happen when you have a very big collective of people who support and work together in the interest of the larger whole. The collective supports the needs of the collective. The entity is not the movement. The movement is the people. The people involved have to believe that they are working toward something better together. The entity or, in this case the nonprofit, is really the infrastructure that keeps the movement going. How does something become a movement? We’ve found that there are three stages of movement that an individual goes through. They start with belonging — and this is how a lot of people become involved in peer-to-peer campaigns. This is where I can say, ‘Pledge to me because I am trying to raise money by running in this race’. I’m asking my friends to belong to my movement. It doesn’t necessarily mean that they’re making a deep or a long-term commitment. It does mean that they’re belonging for that moment. It’s very simple to belong to something where you have friends. That friendship and that relationship make that belonging so much more natural. But when we truly believe in a cause and you want to go out on your own and find and tell, that’s a different case. The person moved away from belonging to it and is saying that this is exactly what I care about it. This person has moved from belonging to believing. The third phase is owning the movement. They own and self organize. How do nonprofits get their supporters to move beyond belonging? We have to move from assuming that just because someone is participating, or belonging, that they are a believer, because it’s not true for everyone. Most peer-to-peer campaigns, for instance, are based on the owners of the movement going out and trying to get more belongers. Often, they get stuck in a cycle where they are pulling the lever each year and getting their supporters to attract more belongers. To get them from belonger to believer often involves getting them to internalize the real reason why this issue is top of mind for them. When we see that connection really falter at times is when the organization has not really established their true peer-to-peer model. If you have a very shortsighted peer-to-peer model where they just say they want to have people join us and give to us, there’s an assumption that because we got them to give on a small level, we ultimately will be able to over time get them to give on a bigger level. But organizations don’t always take the time to plan it and figure out how to get them to that next level. When you look at groups like Pencils of Promise that really have high engagement with millennials, they create a very very intentional strategy that takes them from belonging to a campaign, to believing and ultimately owning it. What are these organizations doing to create right kinds of conditions for that progression to happen? True movements are often started and led by those who are able to inspire those who are participating to feel as though they have the power to make a difference. Their message is that without you, the movement wouldn’t be possible. Along the way, almost all of the movements we’ve studied have also presented participants with an opportunity to bring others along. It provides an opportunity for that person to escalate their involvement in the movement not just because they want to share something. but to escalate the feeling that they are doing something more. Always presenting the opportunity. Providing the person with the idea that they are powerful and giving them consistent opportunities to help them link others, made it much more substantial than saying, ‘Hey, it’s peer-to-peer fundraising season again. Here’s another opportunity to gather your friends and get involved’. When you feel like you belong and own part of a movement and you’re given an opportunity to go further, it’s much bigger than just raising money. Derrick Feldmann will provide the keynote address at Peer-to-Peer Fundraising Canada’s annual conference on Nov. 1 in Toronto. 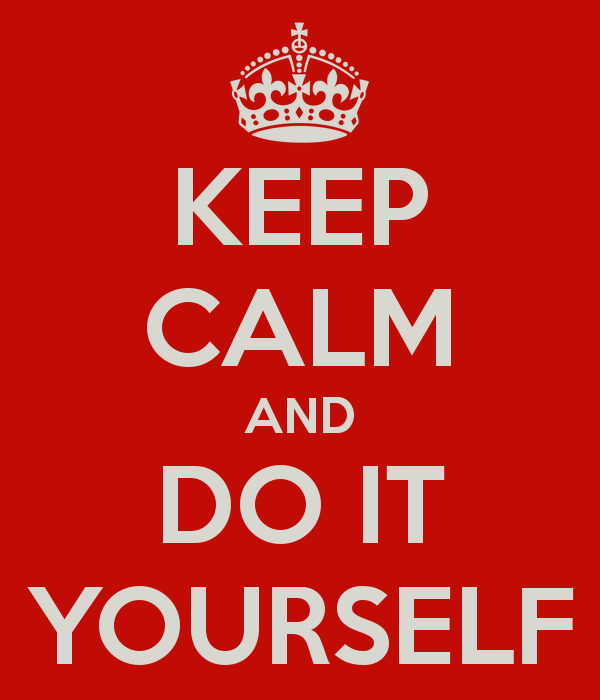 Is DIY fundraising making your day or driving you nuts? Six years ago, a leader in our industry told me to keep an eye on independent or third-party fundraising. Nonprofits were uncomfortable with supporters “doing their own thing,” but the pendulum was swinging in that direction. “Sure, sure,” I replied, but I didn’t prioritize that sector because my eye was fixed on the world of runs, walks, rides and endurance fundraising Fast forward to August 2016 and “do it yourself fundraising” is a hot topic for almost all Canadian organizations seriously engaged in peer-to-peer. That’s why we’re excited to be undertaking a serious study of this marketplace to help establish a common language, identify best practices and provide guidance on major challenges. Whether you call it DIY, independent fundraising, third-party events or something else, we’d like to learn about the status of your efforts and the questions you have. Please email me today with your thoughts – and enjoy the waning days of summer. When American decathlete Ashton Eaton and Canadian heptathlete Brianne Theisen-Eaton begin their quests for gold next week at the 2016 Summer Olympics, they will have big fans at World Vision. Ashton and Brianne are vying to become the first married couple from different countries to win medals in the same Olympics. If they are successful in their quest, they will likely become one of the biggest stories of this year’s Games. And, if that happens, it will likely help them achieve their goal of getting 500 people to sponsor children through World Vision. Before the Olympics, the couple set up a do-it-yourself fundraising campaign for the charity — hoping to use the attention that comes with competing at the Olympics to help do some good. Their campaign has yet to fully take off. But World Vision will be promoting it heavily beginning today, when Brianne starts her quest for gold and again next week, when Ashton aims to follow in the footsteps of past American Olympic greats. Summer might be in its dog days, but there’s been quite a bit of news bubbling up recently about Canadian peer-to-peer fundraising efforts. A Toronto marketing company is looking to capture the magic of the Ice Bucket Challenge with a month-long campaign called #WhatsInYourBucket. Instead of getting dumped with water, the agency’s employees will get dumped in the material of their choice. Participants have gotten pretty creative, as you can see from the video showing a fundraiser getting doused in pickles. One challenge is being posted each business day in August to raise money for ALS charities. Times have been tough in Calgary, but that didn’t stop 1,400 riders from raising $6.35 million during the Enbridge Ride to Conquer Cancer, according to the Calgary Herald. Finally, it doesn’t get much cuter than these two young girls who are selling lemonade to raise money for endangered species at the Calgary Zoo. The zoo was so inspired by their enthusiasm that has decided to launch a new do-it-yourself campaign called “I Blank for Wlidlife” that aims to give people the ability to create their own fundraising campaigns on its behalf.